Join the discussion on our forums! Come discuss Lightforged Blessing over in our dedicated Lightforged Blessing discussion topic. Twinspell Give a friendly minion Lifesteal. 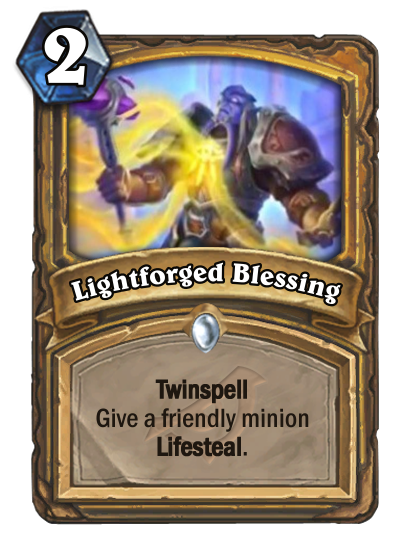 Playable with High Priest Thekal heal paladin.